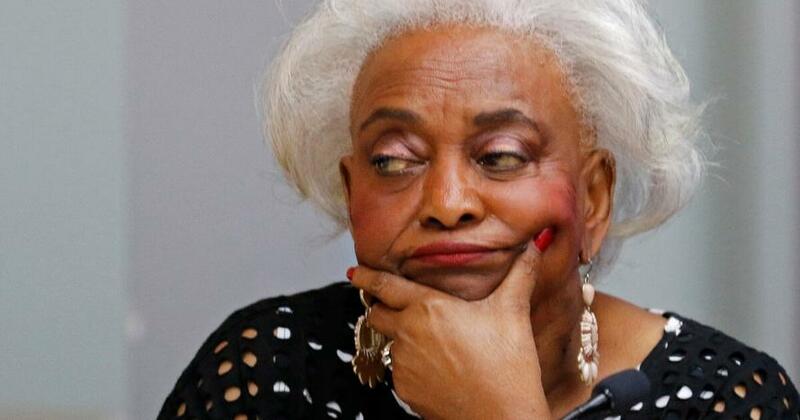 Republicans are pointing to Broward Elections chief Brenda Snipes' dubious history of election gaffes, with many suggesting that she is rigging the election in favor of Democratic candidates. That said, the Florida DoS has repeatedly insisted that their employees sent to observe the Broward election process have seen no evidence of election fraud - waiting until Tuesday to acknowledge that it had turned over information to federal prosecutors last week. On Nov. 9, DoS interim general counsel, Bradley McVay, asked that the altered dates be investigated. "Altering a form in a manner that provides the incorrect date for a voter to cure a defect … imposes a burden on the voter significant enough to frustrate the voter’s ability to vote," said McVay in his Nov. 9 letter sent to US Attorneys Christopher Canova of the Northern District of Florida, Maria Chapa Lopez of the Middle District of Florida and Ariana Fajardo Orshan in the Southern District of Florida. The woman said that she think the incorrect date was used since whoever sent the cure affidavit swapped the deadline for cure affidavits with the deadline for provisional ballots. "a bigger problem is the fact they actually changed one of the DOE forms," she said. "Please pass the word to the FDP that they can't arbitrarily add their own deadline to your form or VBM cures! !," Lux emailed to DoS officials on Nov. 9, adding "This is crazy!" A spokeswoman for the Florida Democratic Party brushed off the issue - claiming that the Scott administration's election office is using it as a distraction. "The courts have already forced Rick Scott to drop a lawsuit after false claims of fraud, and the Florida Department of Law Enforcement rejected his desperate attempts to interfere with the important work of counting ballots," said Caroline Rowland in an email to Politico. "Now, Scott is once again trying to divert attention and resources from a smooth and successful recount."